Metro Exodus was pulled from Steam as it was announced the title was coming to the Epic Games store, and if that seemed like a last-minute decision, it apparently was. 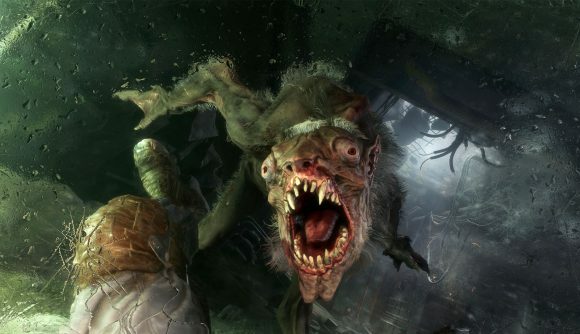 A number of official Steam keys had been printed for inclusion with retail copies of Metro Exodus – those were subsequently stolen and sold on third-party key selling sites, and now publisher Deep Silver has shut them down. In theory, those keys were never supposed to work, as Deep Silver says “binaries were disabled on these keys from the beginning,” but users on the Steam forums have reported being able to launch and play the game ahead of a recent update. Either way, the publisher has now removed the game entirely from the Steam libraries of anyone who purchased the illegally obtained keys. If you pre-ordered Metro Exodus on Steam while it was still available there, you can of course continue to play as normal. The game will return to Steam after its one year of timed exclusivity runs out next February. When retail PC copies of Metro Exodus shipped out, players quickly noticed that Epic stickers were somewhat hastily pasted over the existing Steam logos on the back of the box. Anno 1800 is the latest game to ditch Steam for Epic, but this deal is being handled a bit differently – perhaps owing the the backlash over Metro. Pre-orders for the game will remain open on Steam until it’s out, and only then will the purchase option on Valve’s store be disabled.